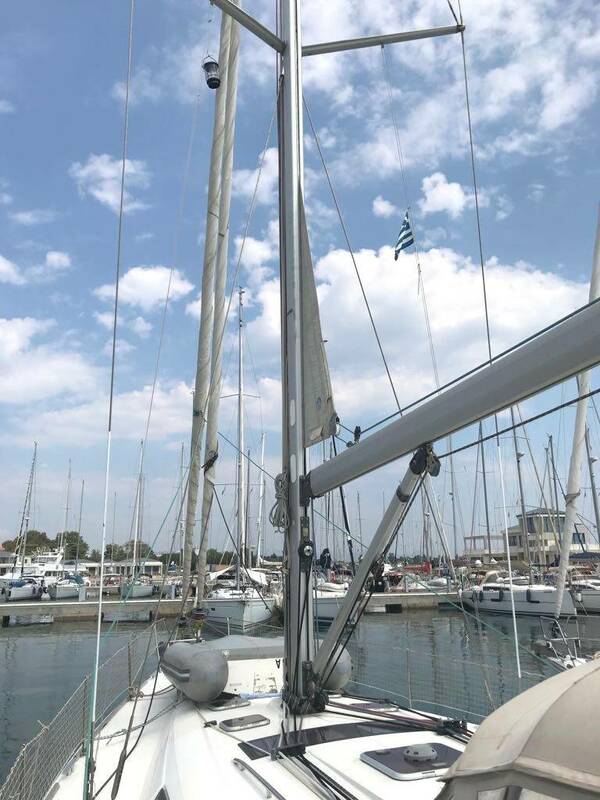 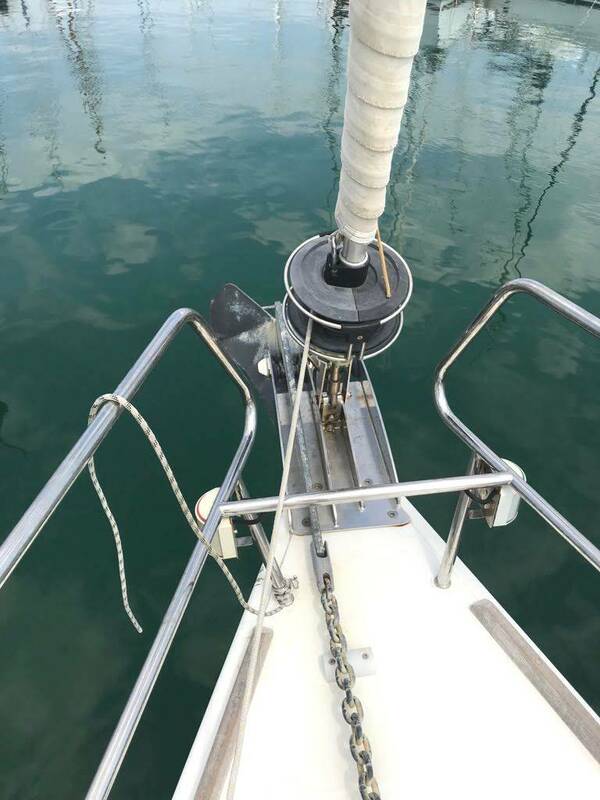 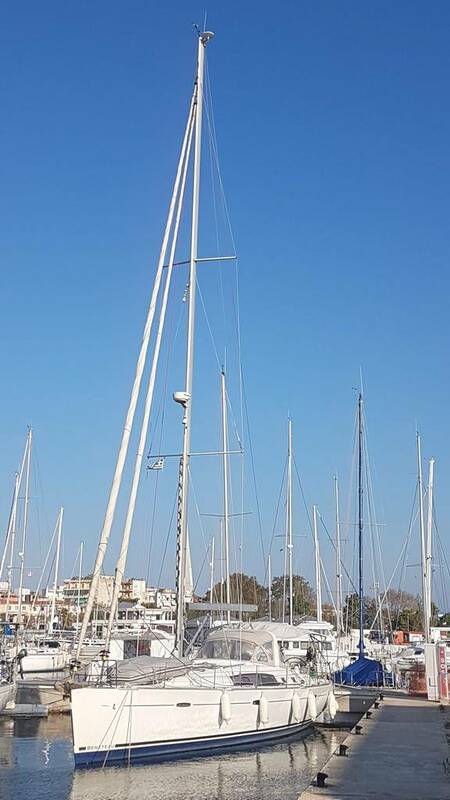 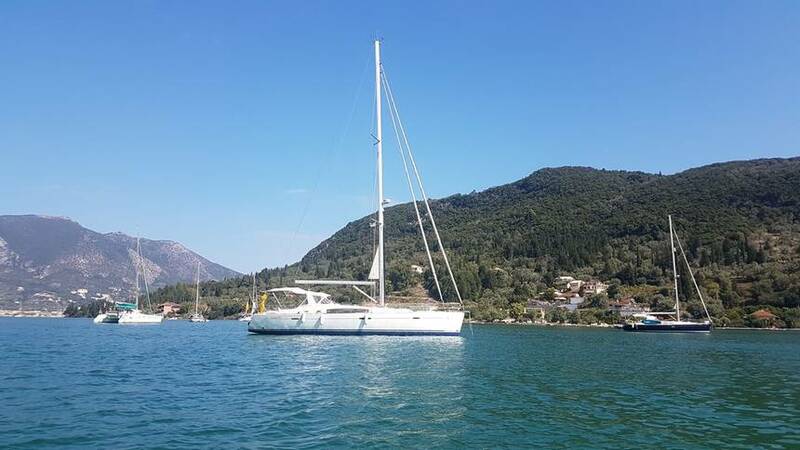 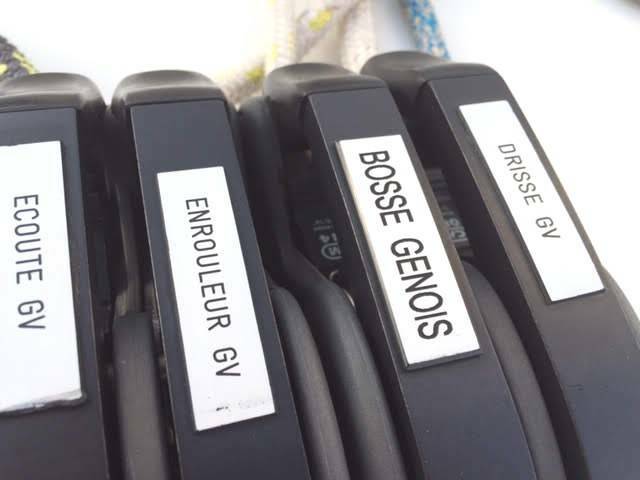 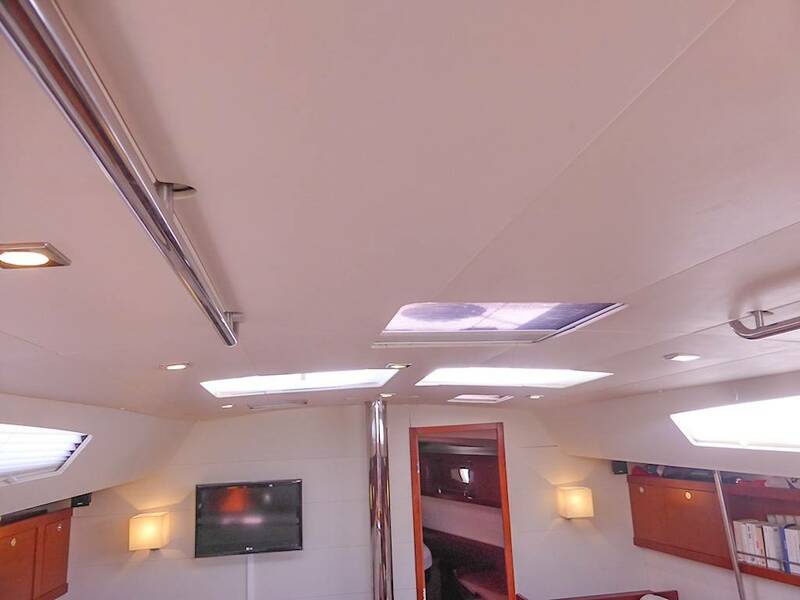 Beneteau Oceanis 50 (3 cabin version) features the same sleek coach roof and long side windows as the rest of the range. 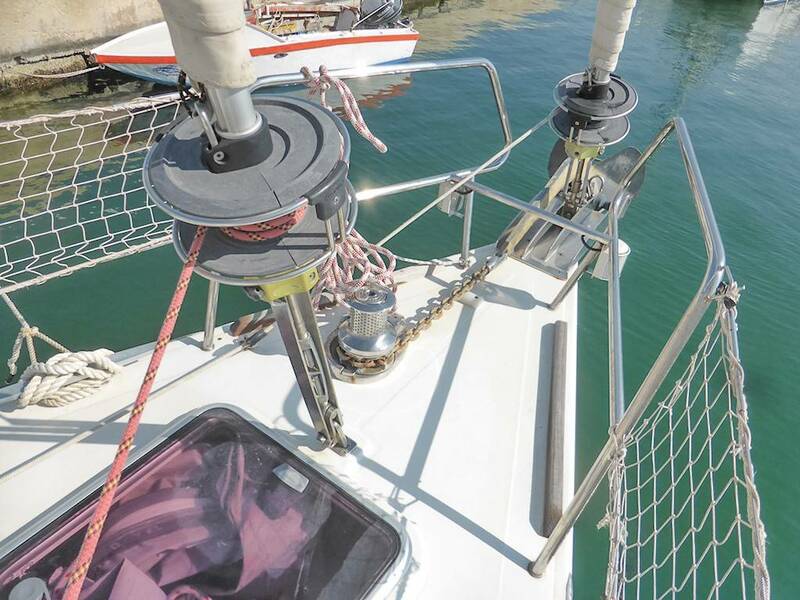 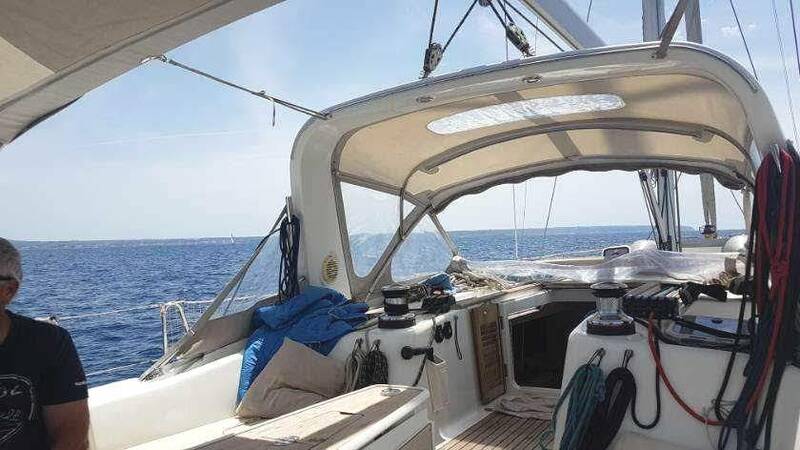 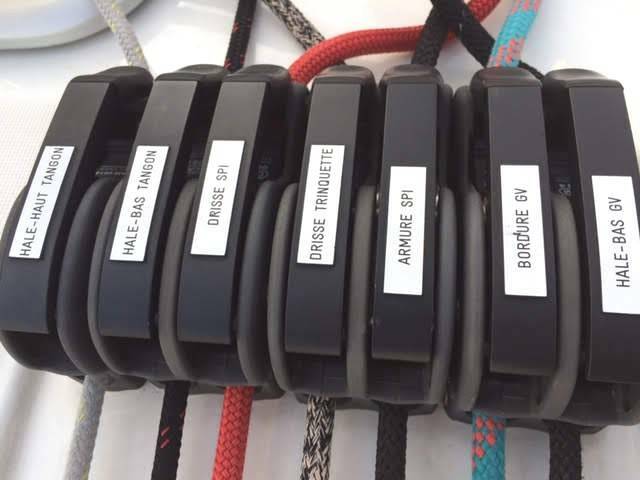 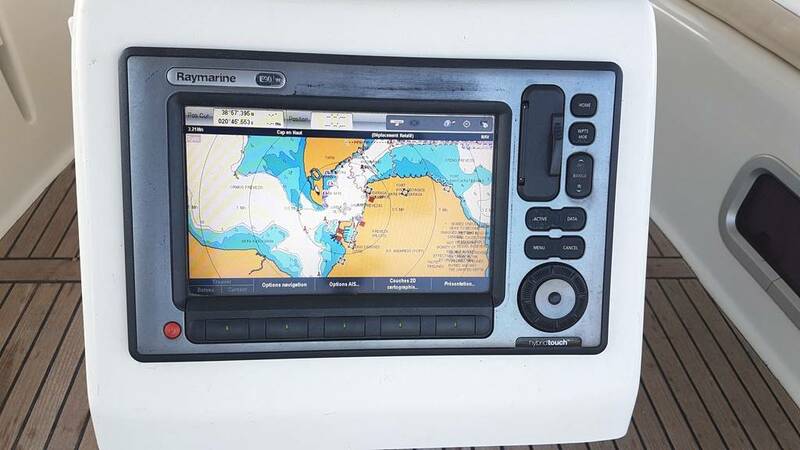 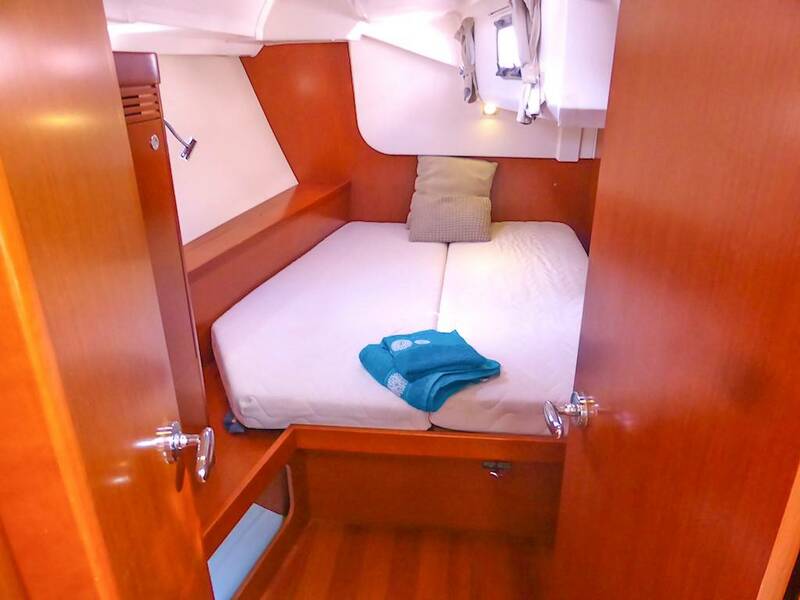 a fully integrated mainsail arch and all ergonomic ease of detailed design to make the most of the space. 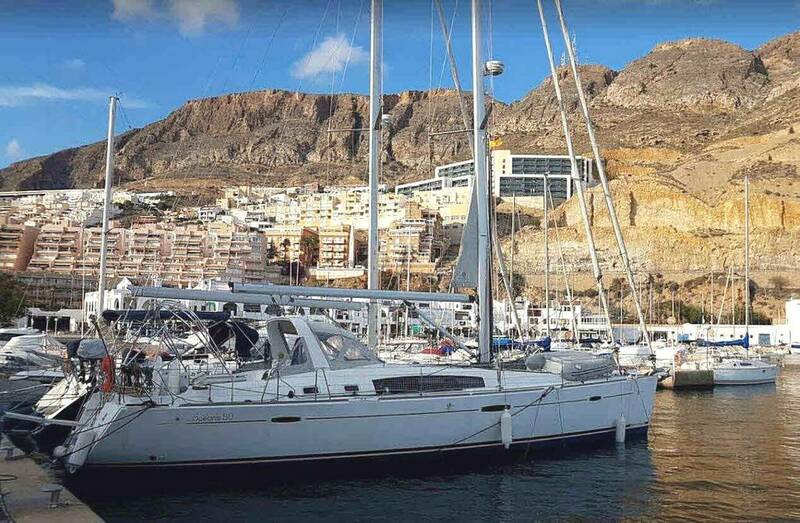 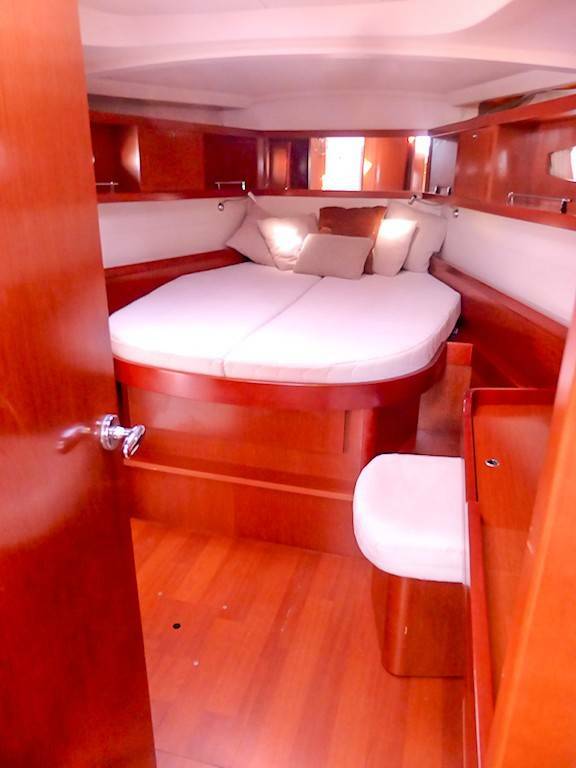 IDEAL BLUEWATER CRUISER OFFERING SPACE AND COMFORT FOR LONG PASSAGES OR LIVING ABOARD IN COMFORT! 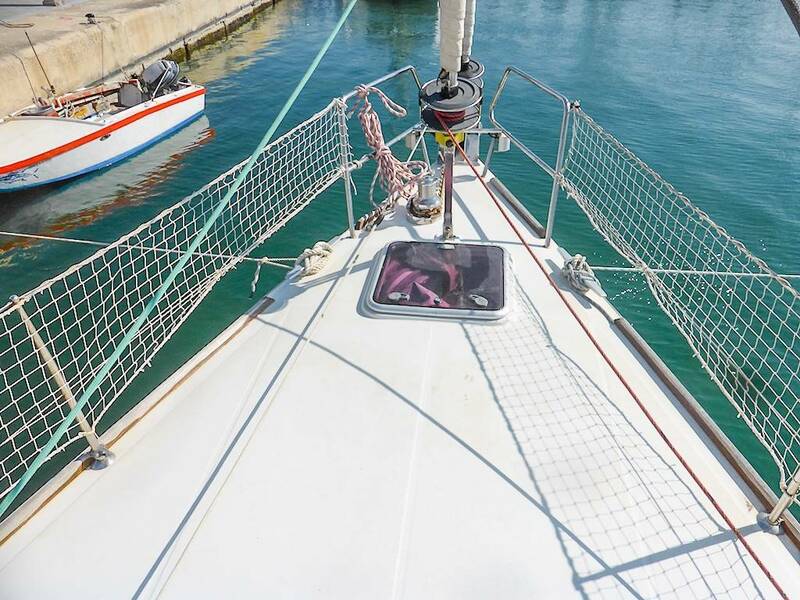 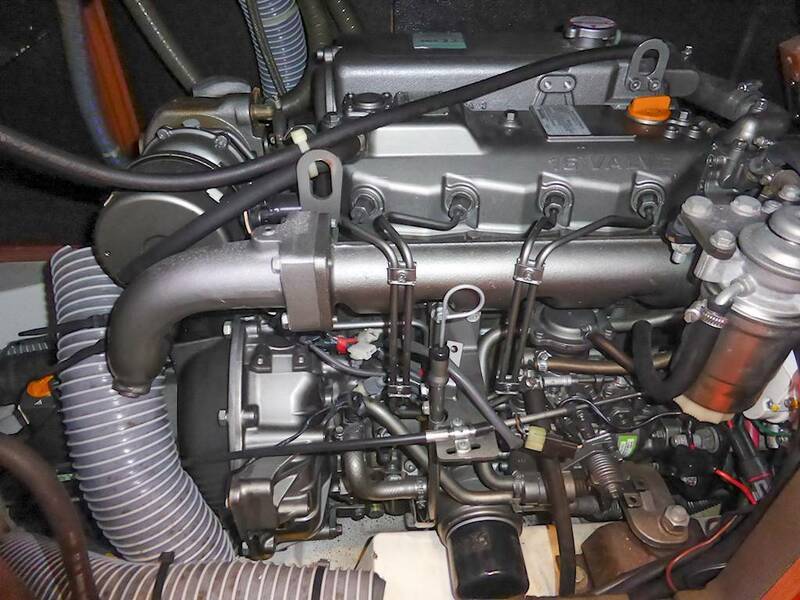 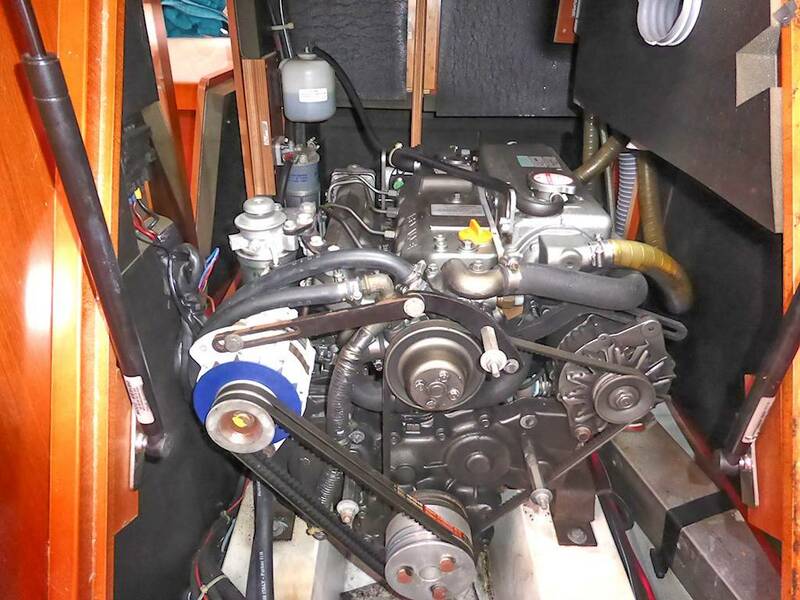 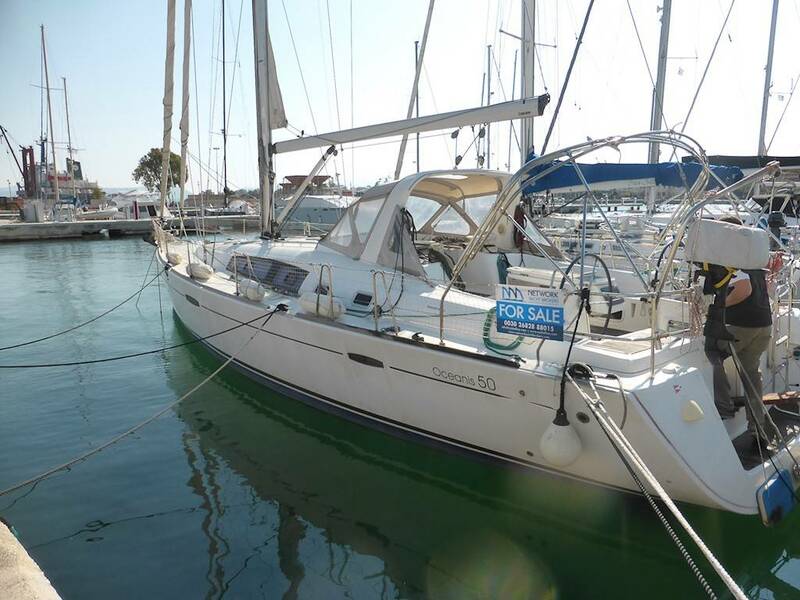 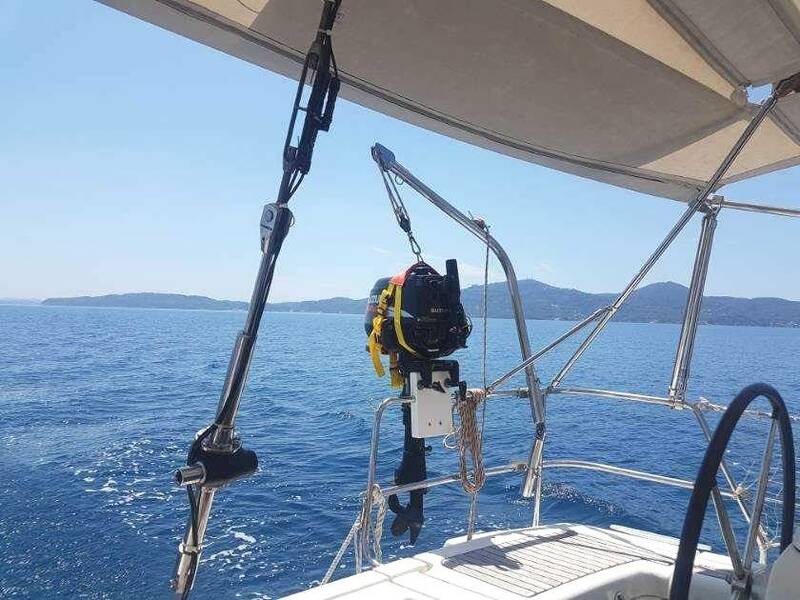 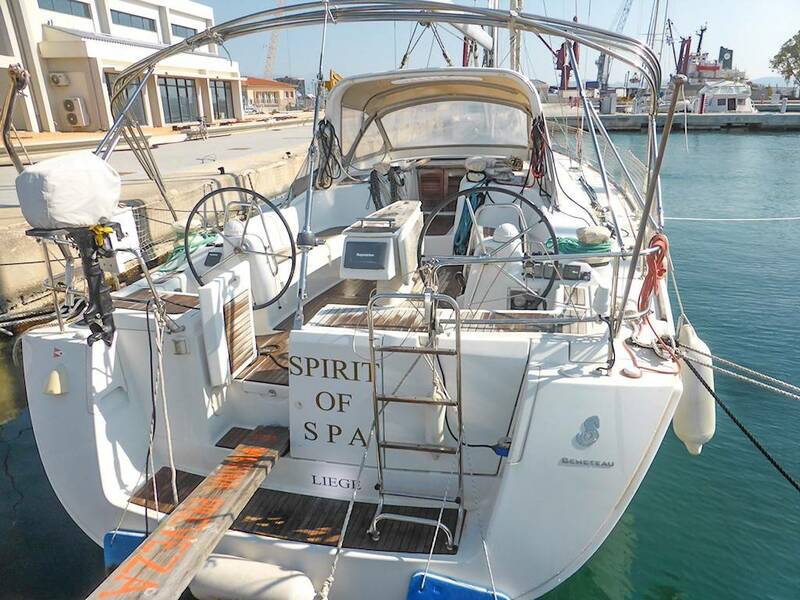 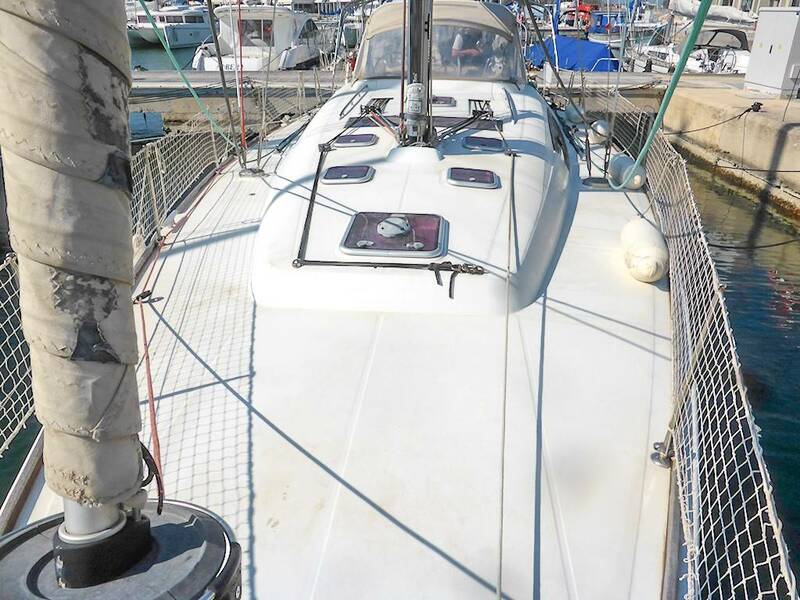 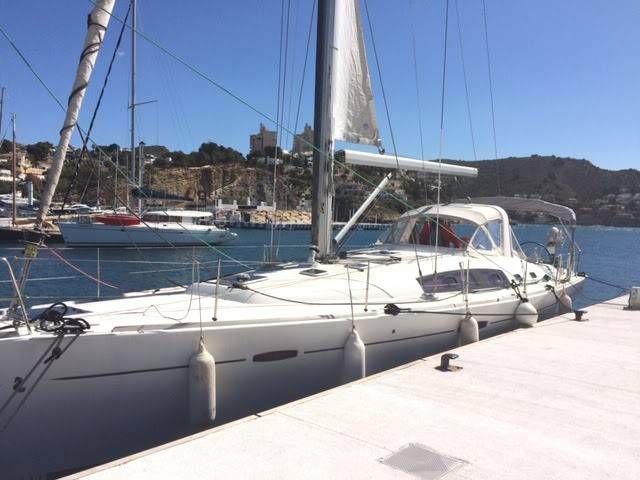 "A MUST SEE"
She boasts a great specification (see below) and has been looked after by her current owners . 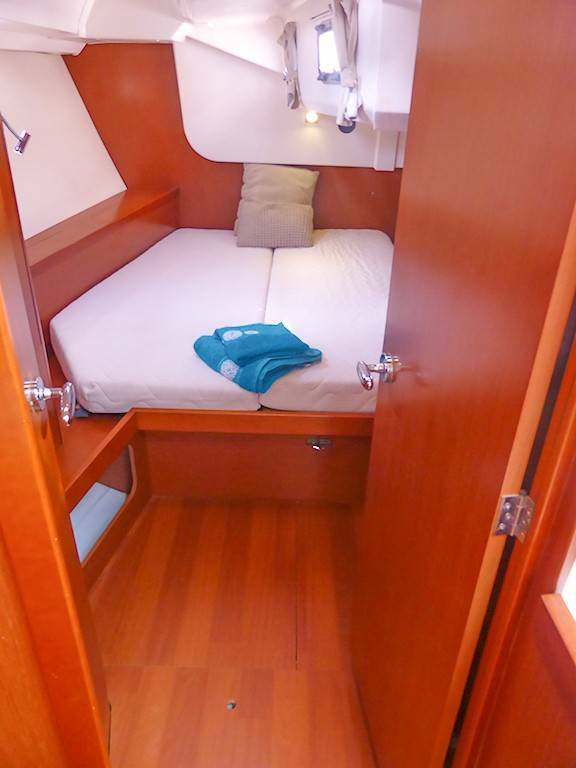 Down below she boasts a bright and airy saloon and ample space in the sleeping cabins. 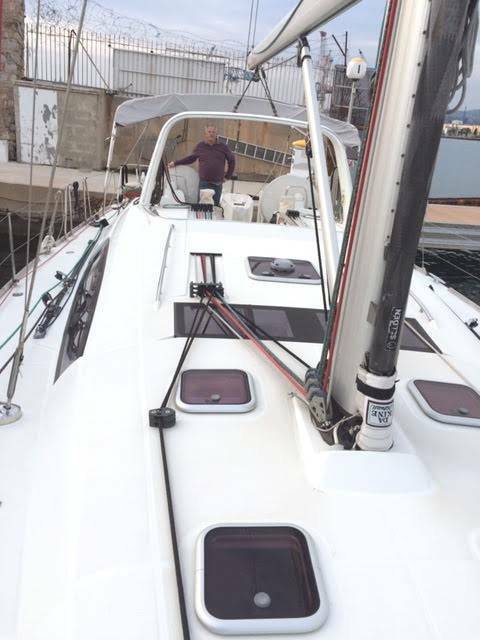 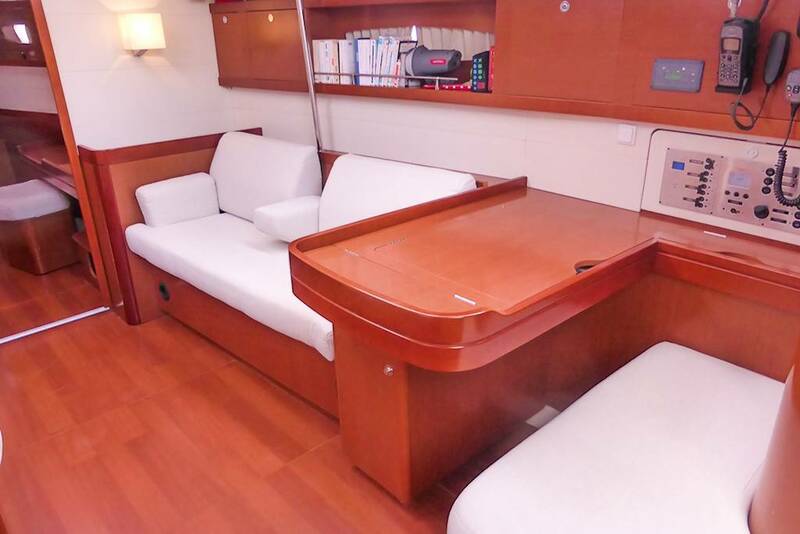 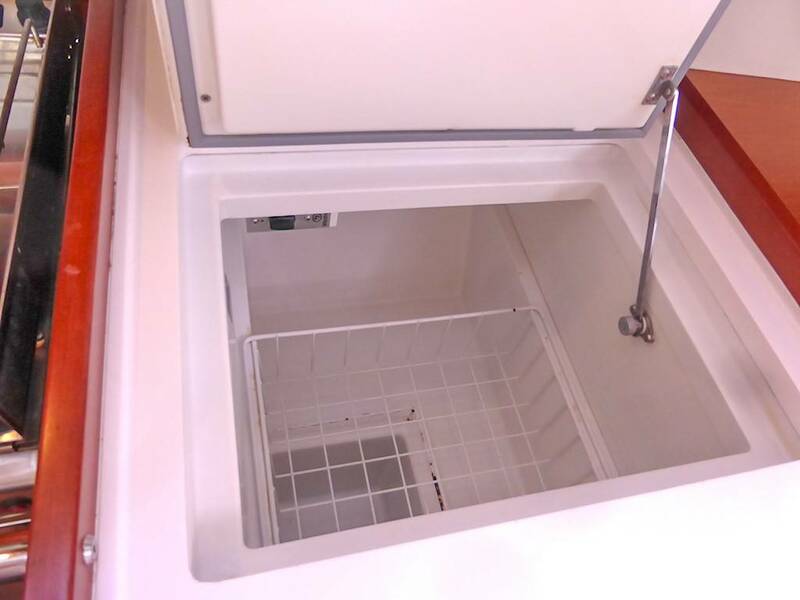 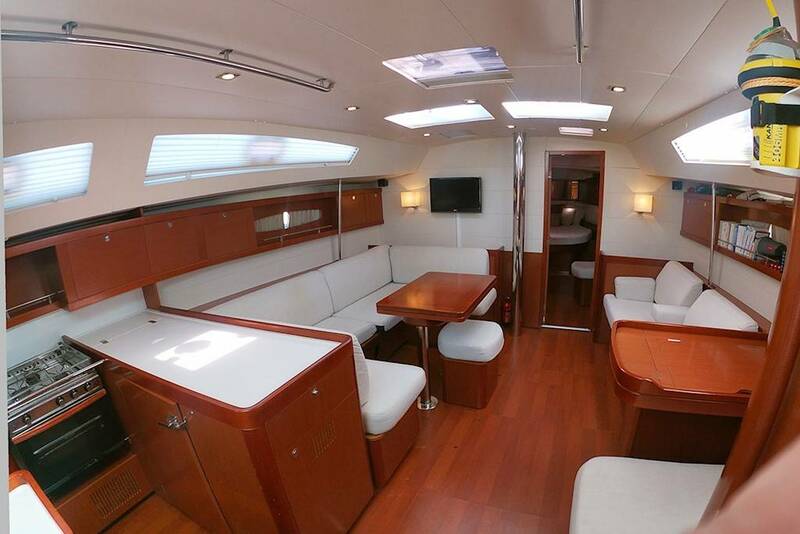 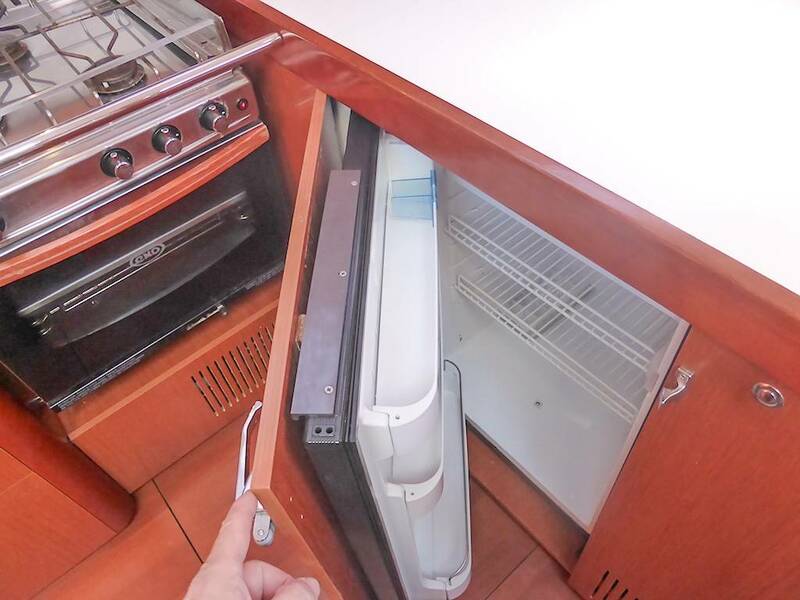 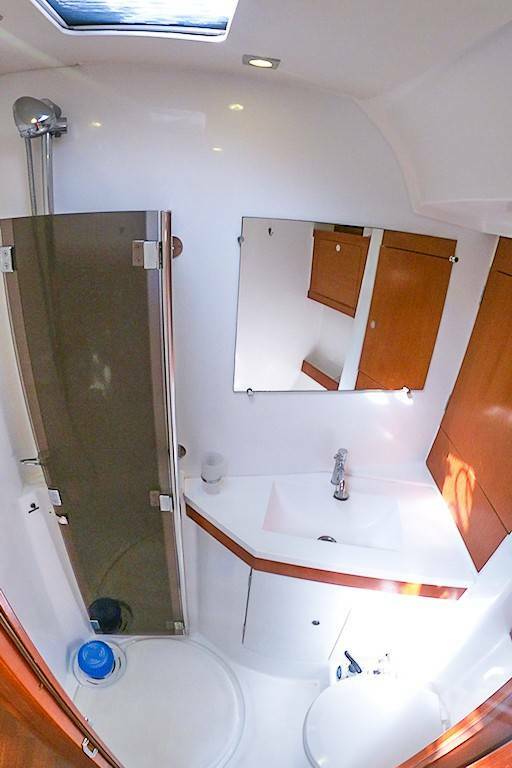 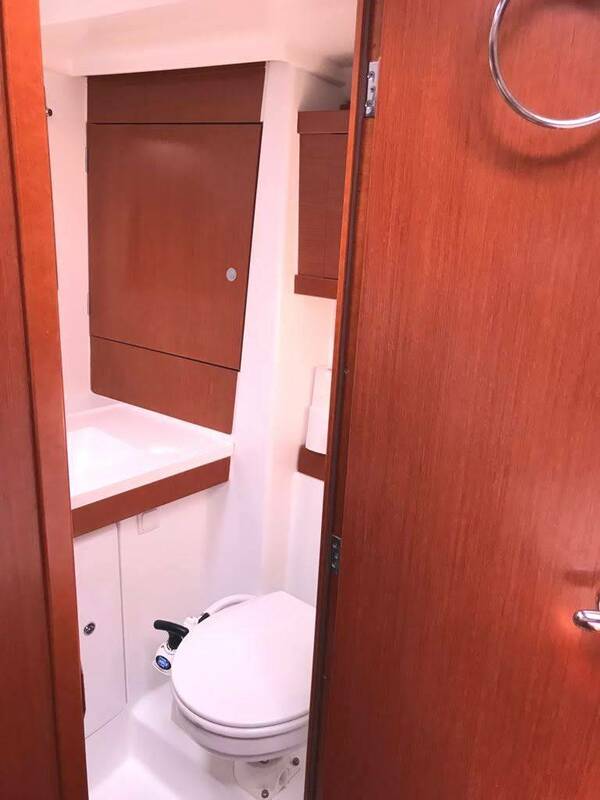 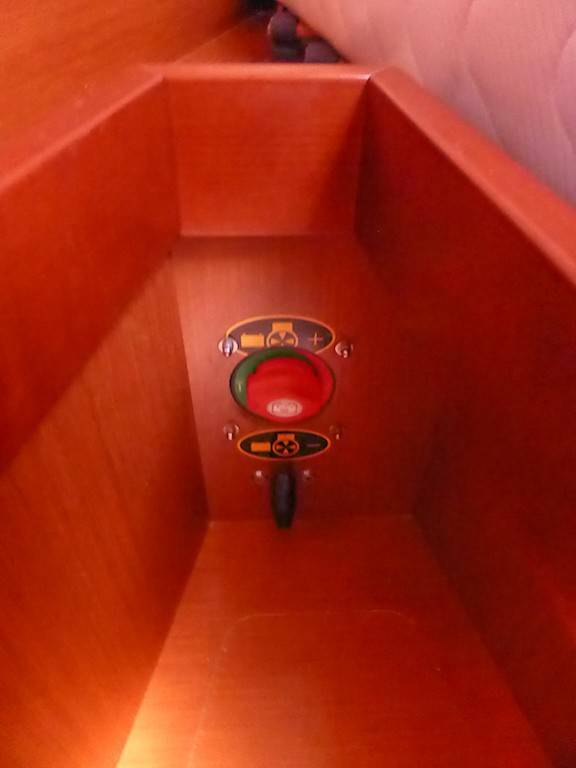 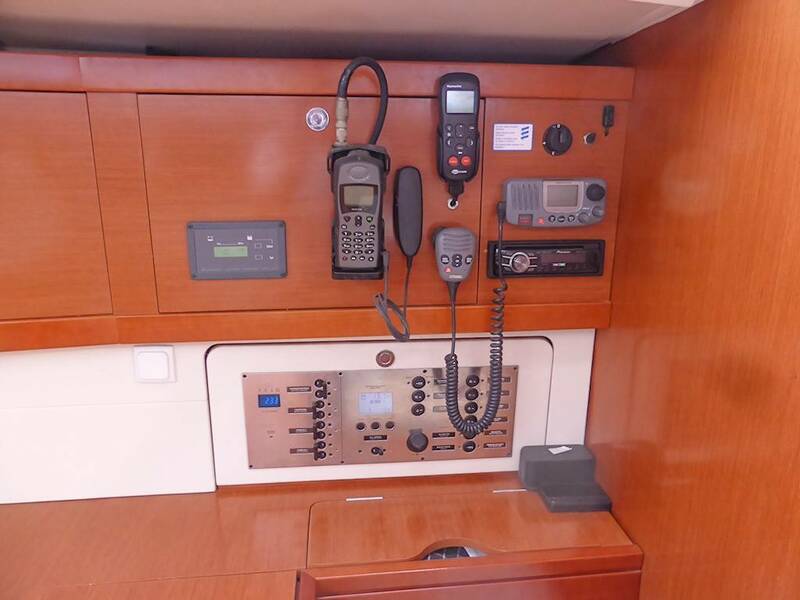 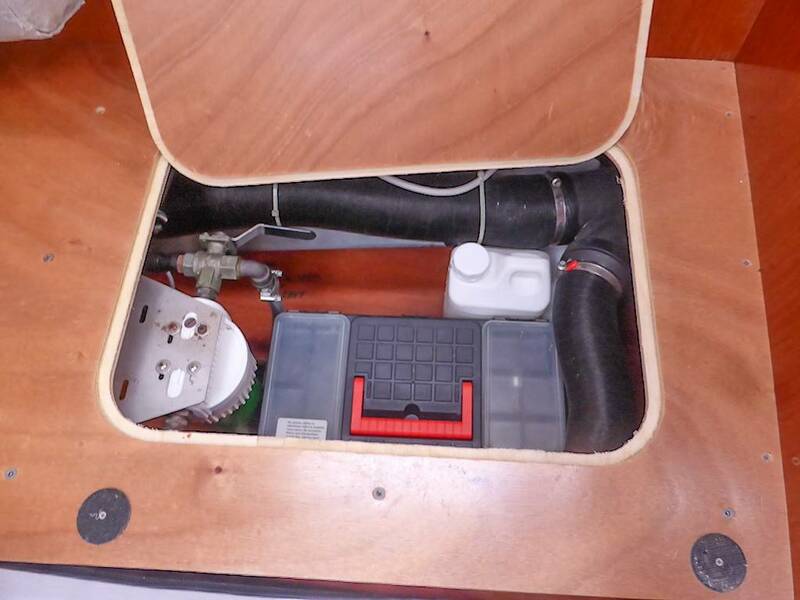 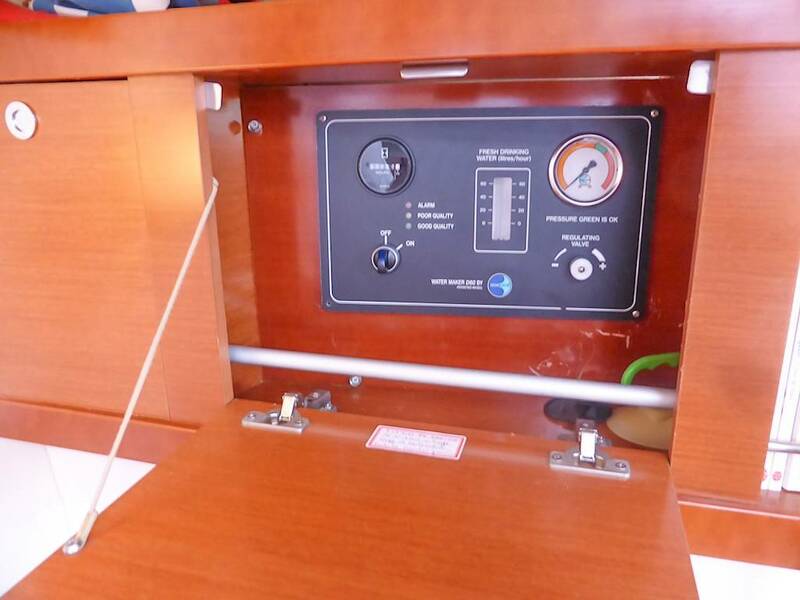 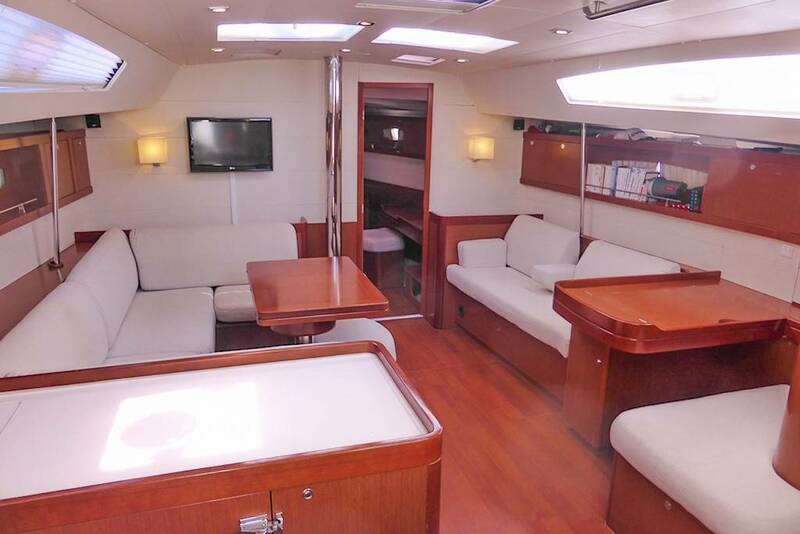 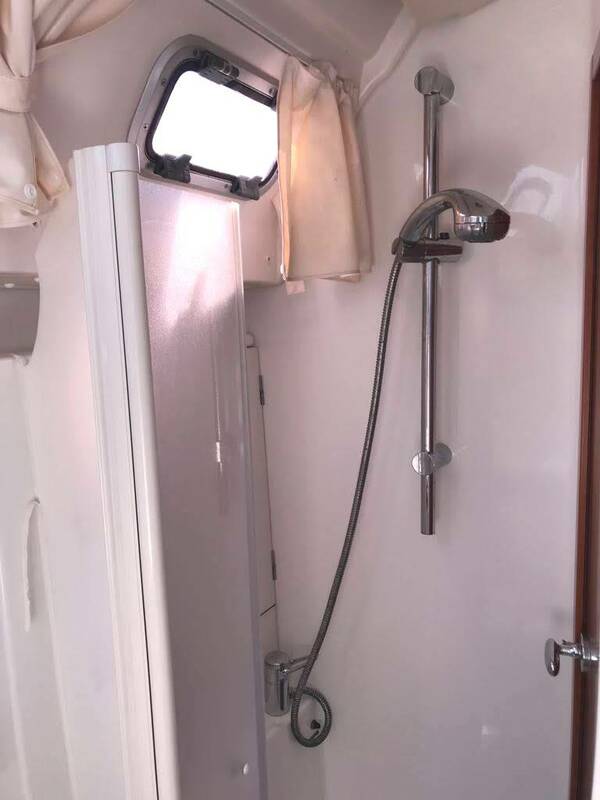 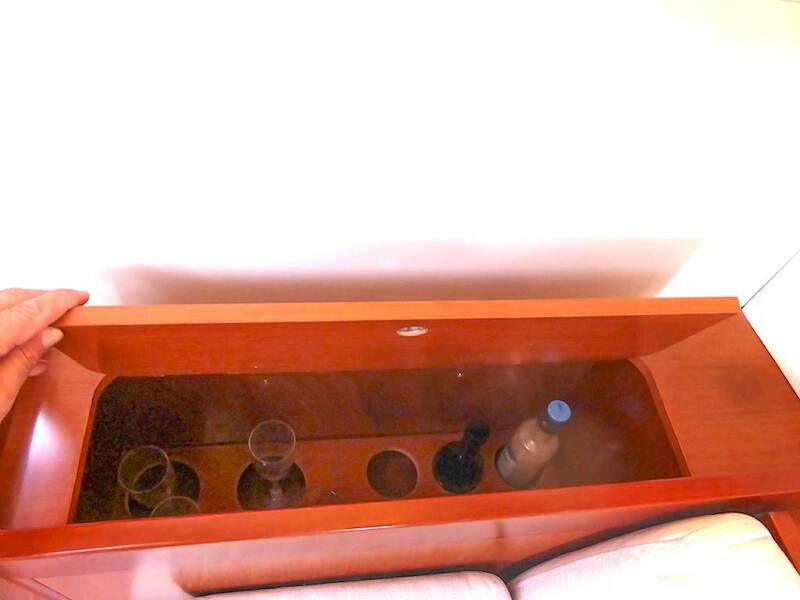 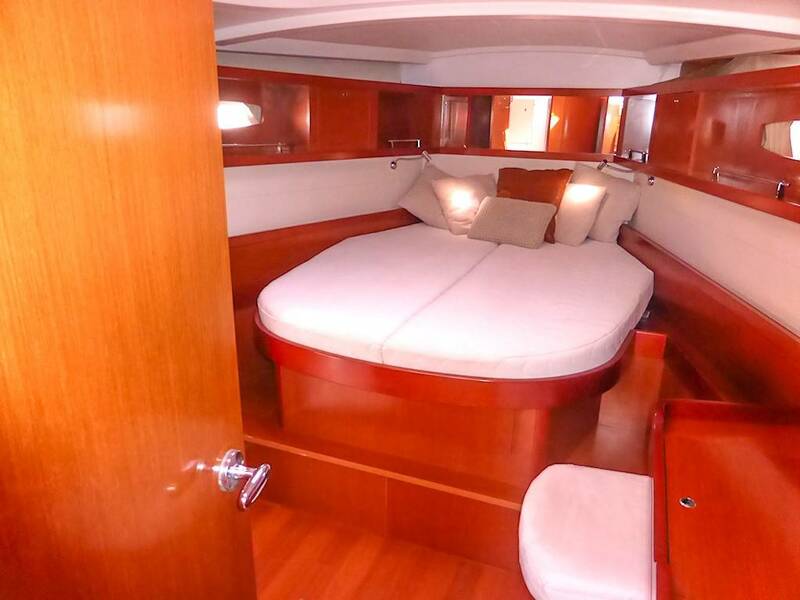 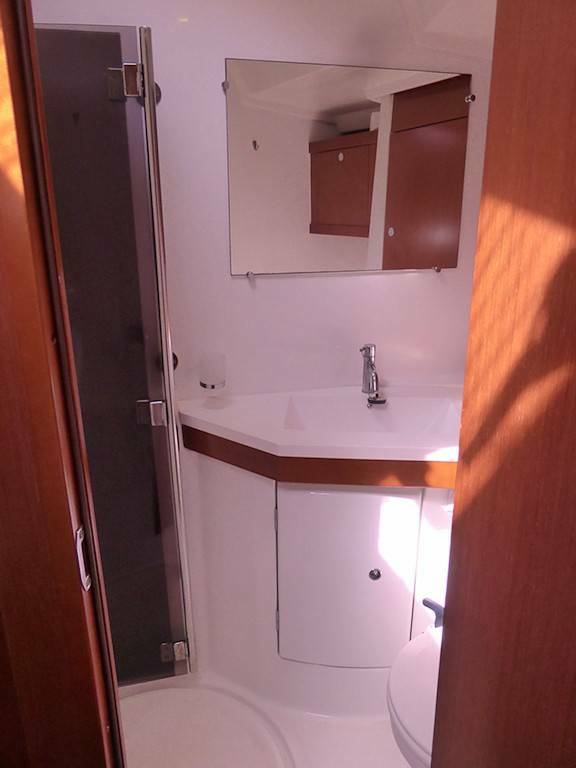 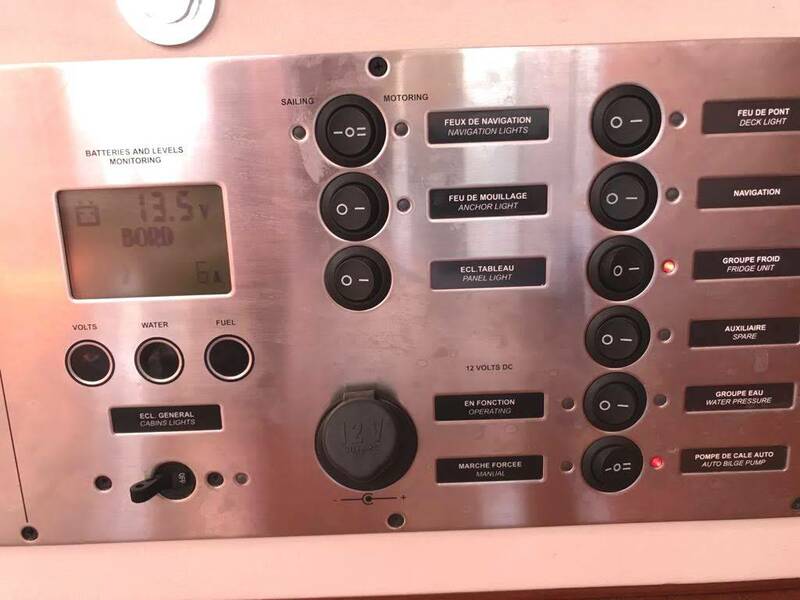 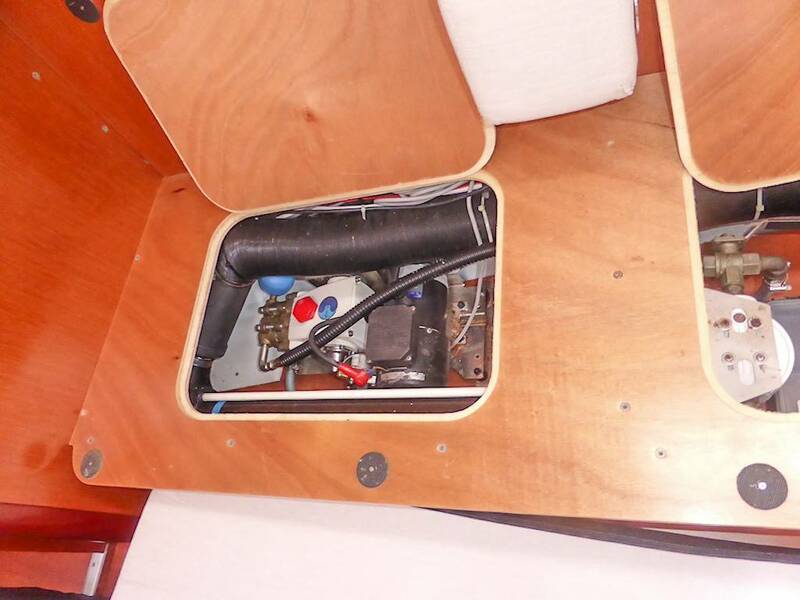 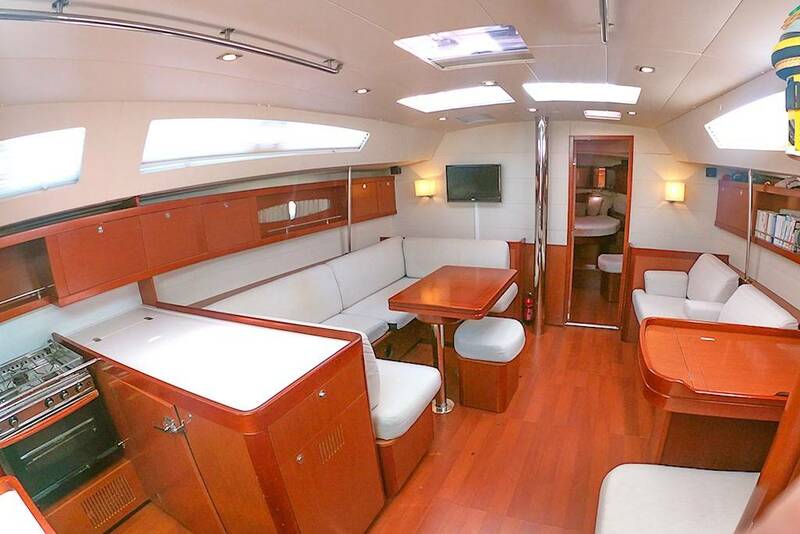 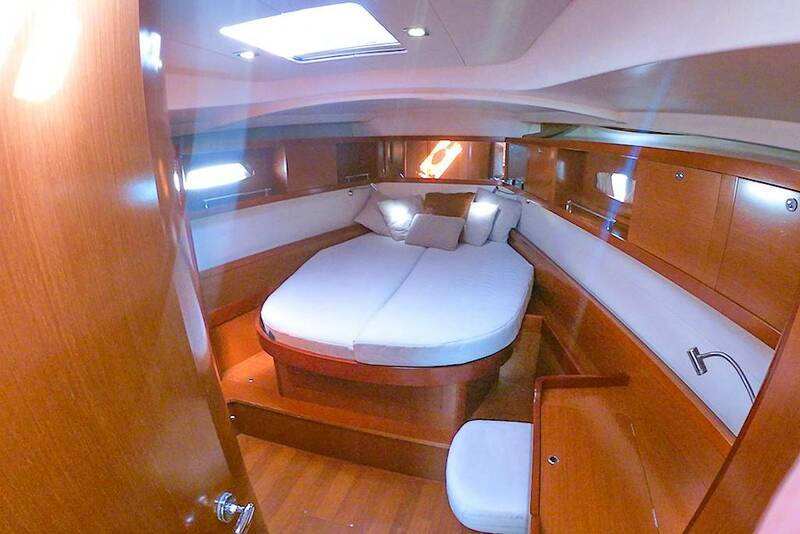 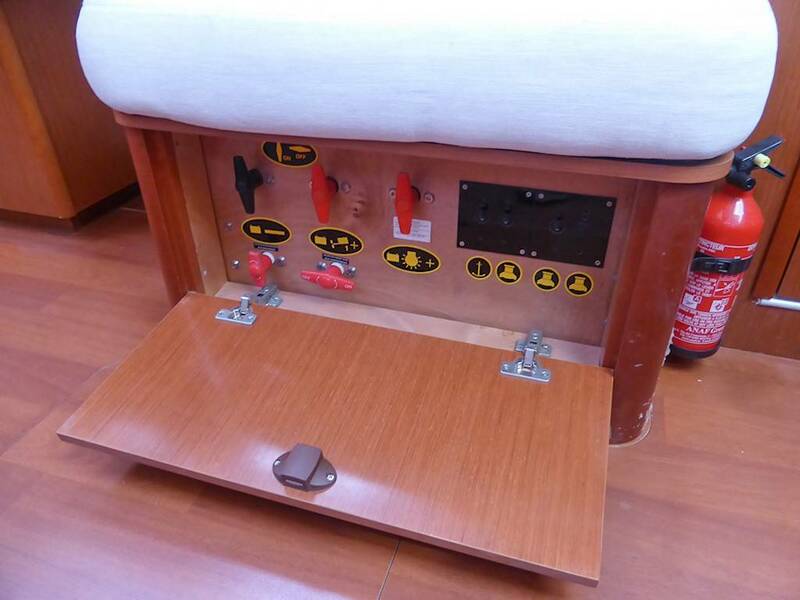 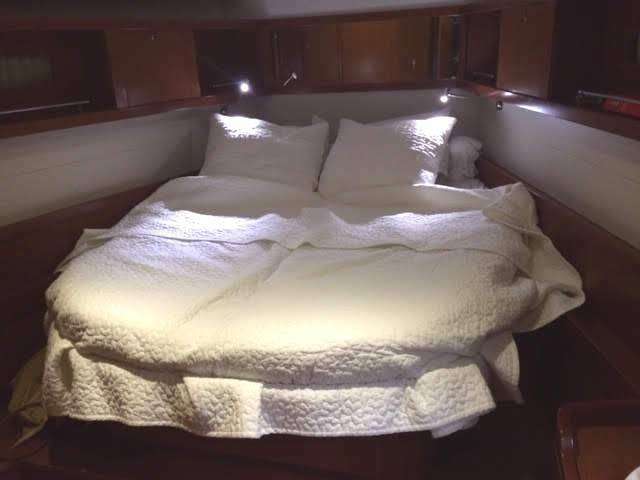 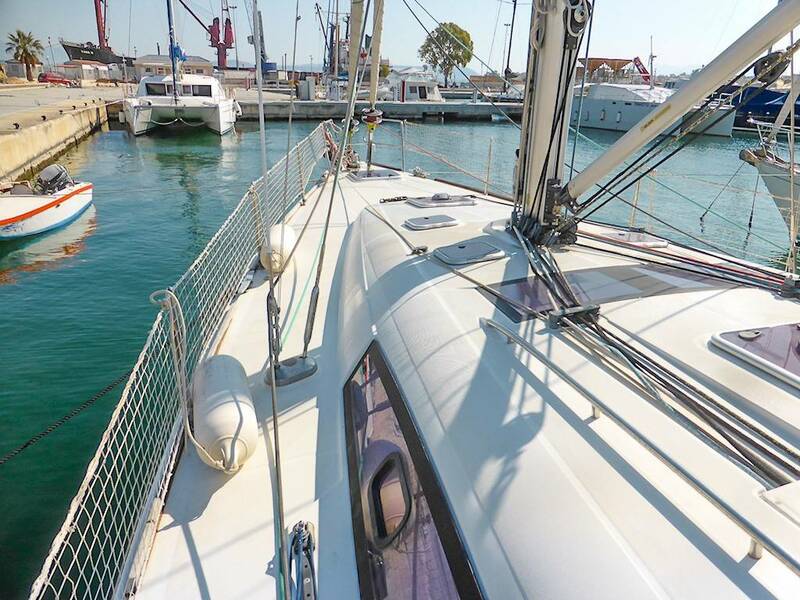 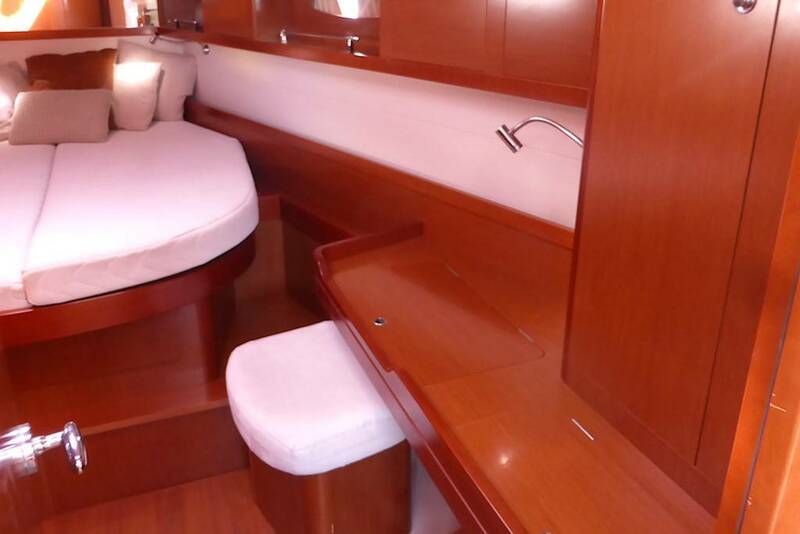 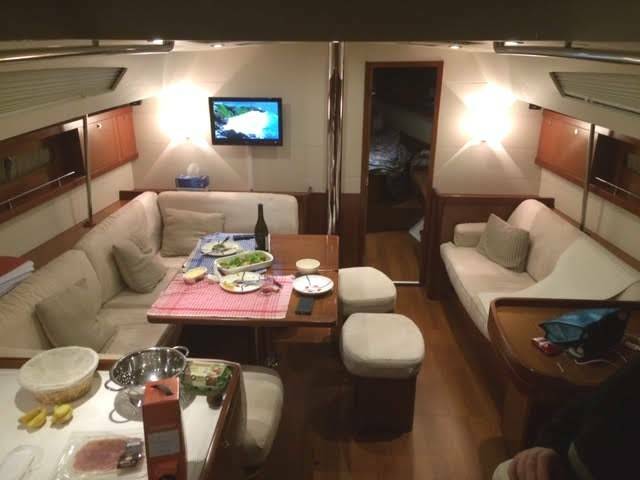 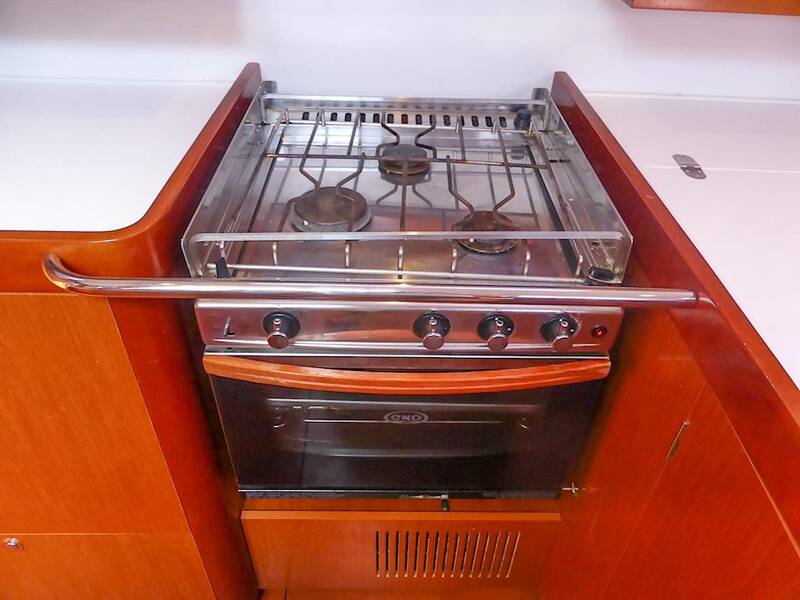 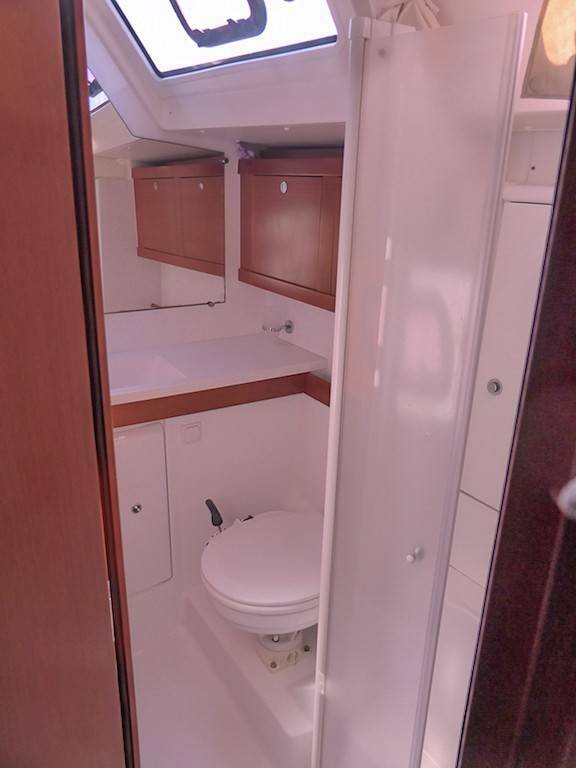 Owners cabin forward features a large island berth and en suite shower and heads. 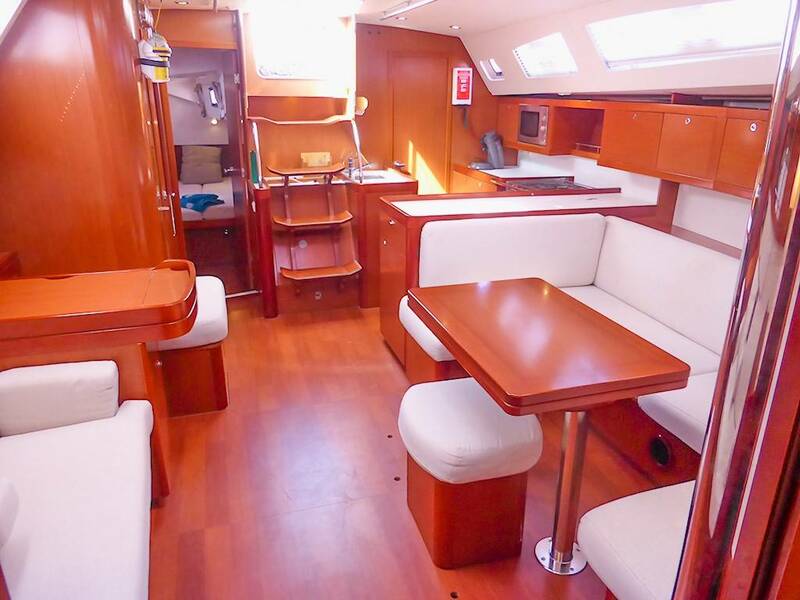 A large practical galley is to the port side. 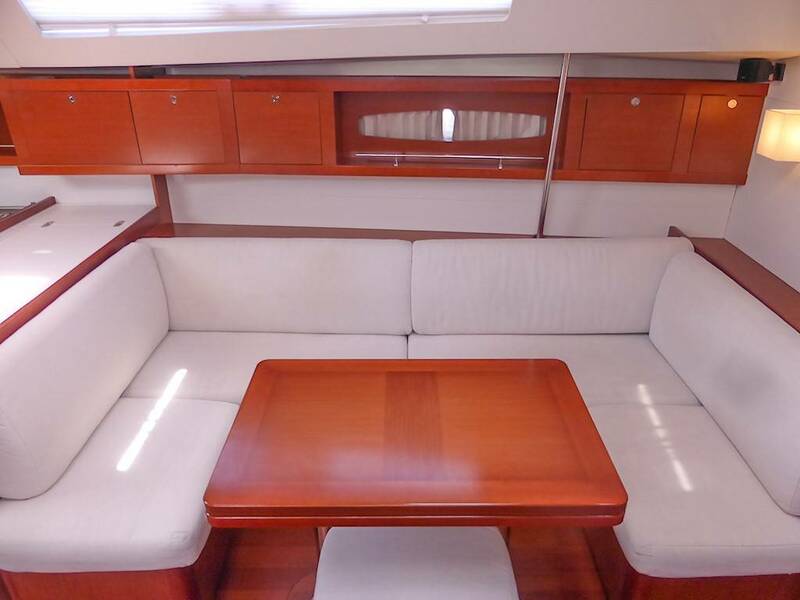 Saloon with C section settee and folding table and sofa opposite provides a comfortable living area and great for entertaining/dining. 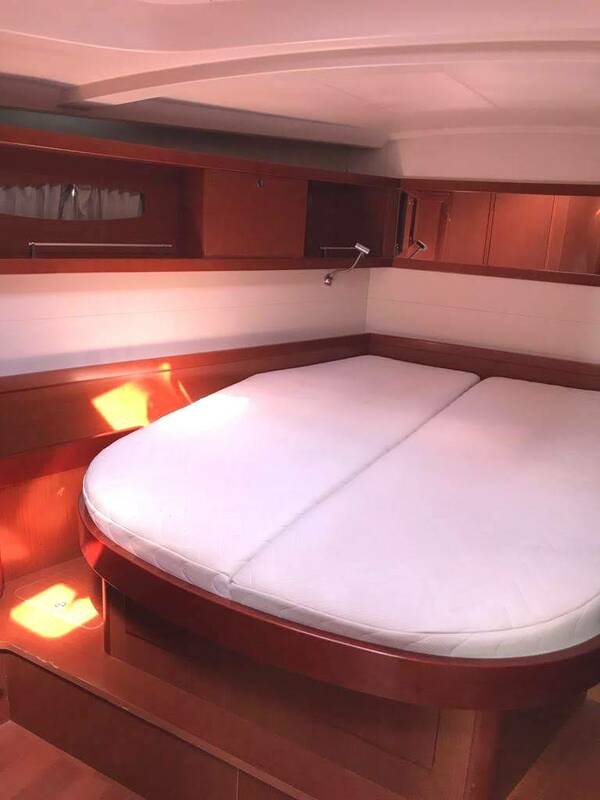 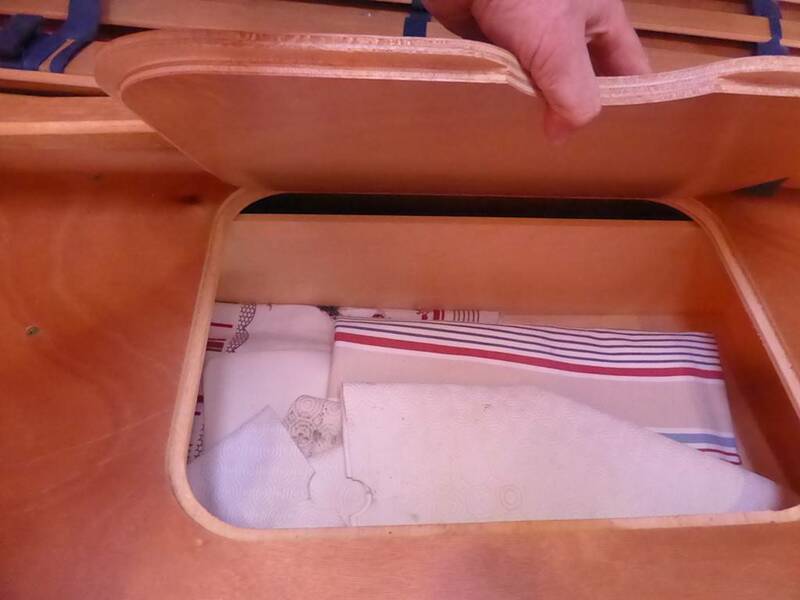 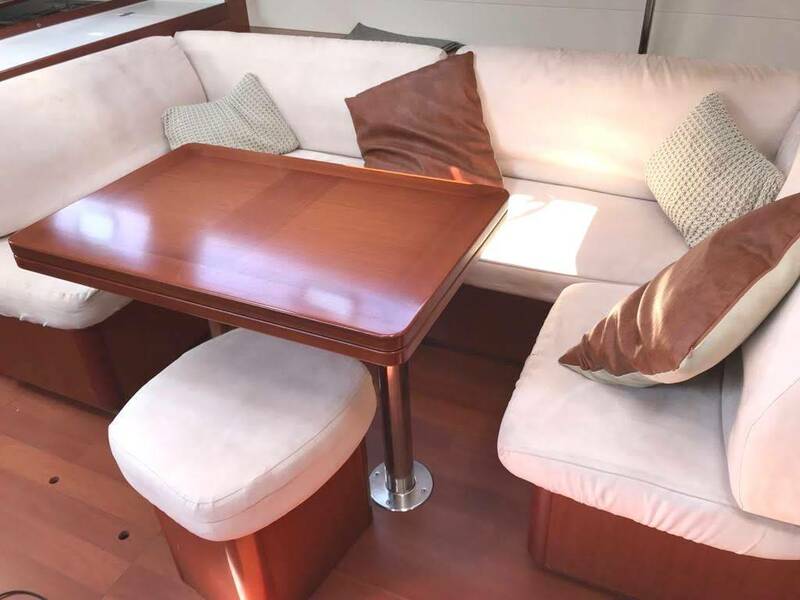 This is the triple cabin version with twin doubles aft and the owner’s suite stationed in the bow and two heads.The interior is warm Alpi mahogany complemented by Oatmeal cloth (as new as fitted alicantra covers) settees. 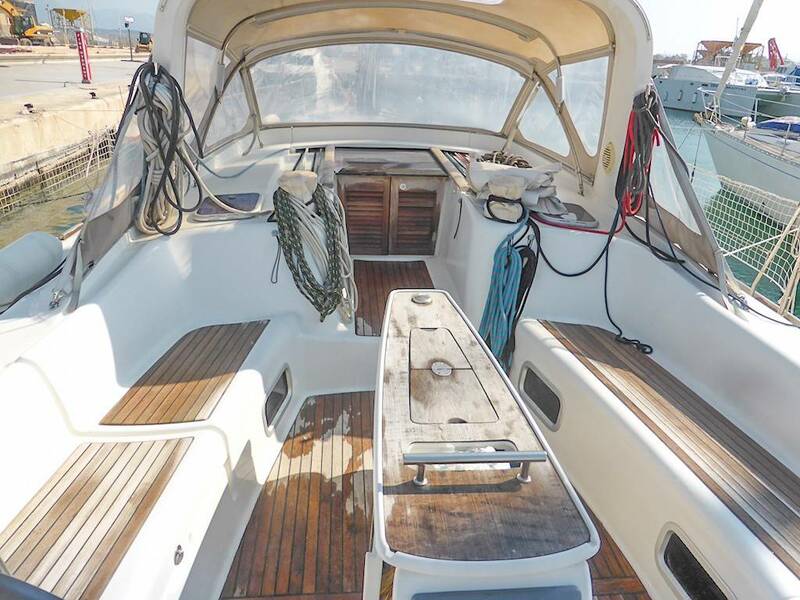 She is solidly built and finished to a high standard. 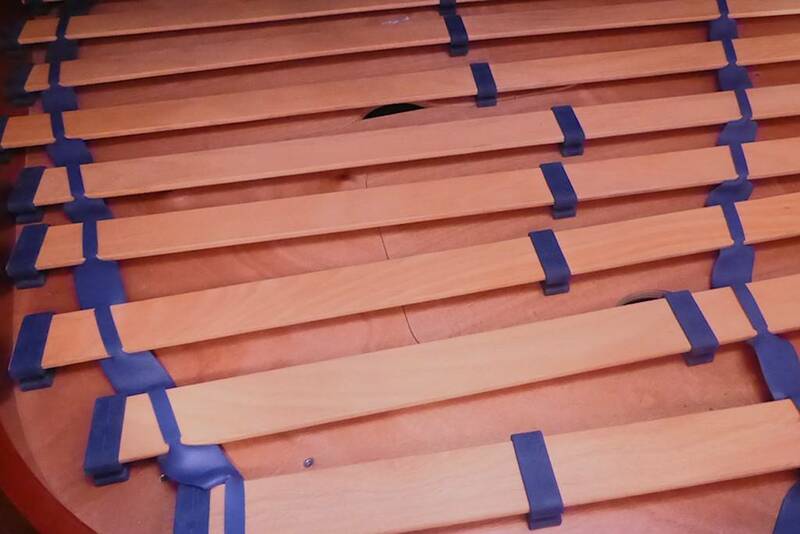 Decking Type: GRP with a teak cockpit very good con.